Oatmeal Bars is a favorite recipe from my grandmother, Ida Belle Blough Snavely. As children, we’d visit every summer on her Iowa farm. Grandma Ida loved to have her grandchildren help make this recipe. And the soft, chewy oatmeal-texture bars kind of grow on you. We had a cousin reunion recently, I thought it would be a good time to share the recipe. 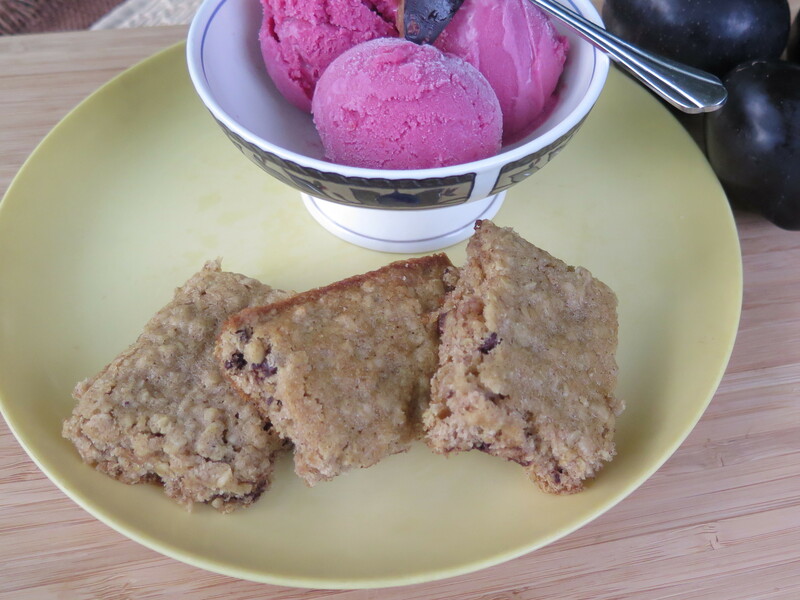 The oatmeal bars really shine when served with fruit or ice cream. Here they are served with spicy plum frozen yogurt. The two make a great pairing for a hot summer day.